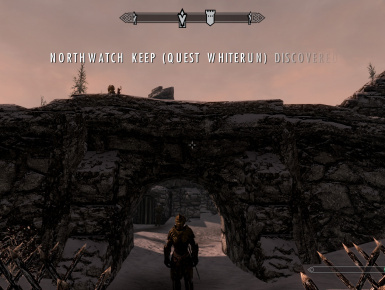 When discovering a new location, this mod will display if there are any major quest for that dungeon and where you can find those quest. This change is added to the map marker and area name for major quest dungeons. Skyrim's best feature is exploration. Unfortunately, exploring some dungeons before you get the related quest can potentially break that quest line; which can be discouraging for a would be adventurer. So that you can more freely explore, this mod will change the map markers and area location of dungeons that contain major quest. That way, you will see at a glance whether you can dive into a new location you have just discovered, or whether you might want to wait until receiving the related quest first. This is accomplished by updating the location marker for these areas with (Quest - 'Quest chain location'). This will be visible on the map, and when you first discover or enter an area. The 'Quest chain location' will be either the town where you can start the quest, or the faction that quest belongs to (ex: Thieves guild, College of Winterhold, ect). A few locations are also marked with 'Locked' as you can not complete the dungeon until you have the specific quest. 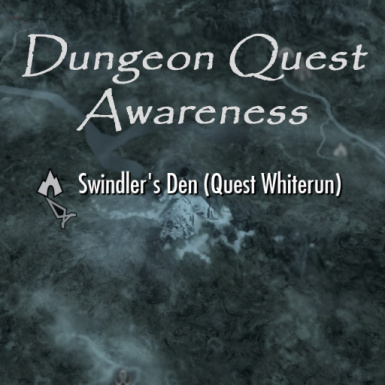 This mod only includes the information for major quest that rely on one specific dungeon location. Radiant quest, bounties, misc quest, are not marked. Also, in the spirit of having as few spoilers as possible, major quest that can be found locally at a dungeon entrance are also not marked, so you can discover them naturally. This was an issue I found annoying in my own play through, so I hope this mod can make the process of exploring Skyrim more enjoyable for you all in the future.